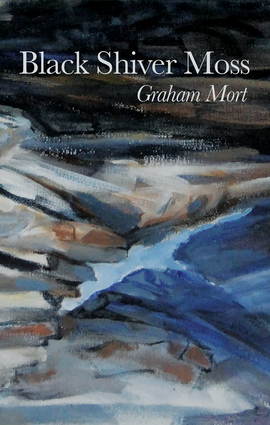 Graham Mort's masterly 10th collection of poetry, Black Shiver Moss (Seren), is packed with poems about his native northern counties of Lancashire, Yorkshire and Cumbria, as well as stunning evocations of elsewhere: Africa, Southern Spain, France, Italy. A prize-winning short story author as well as a poet, Mort's rich, concentrated style thrives on detailed observations of the natural world, their deep feeling harnessed to a finely-honed technique. Graham Mort was born in Lancashire and studied English at Liverpool University. He worked as a mill labourer, dairy operative and psychiatric nurse before training as a teacher. He taught in schools, colleges, prisons, special education and psychiatric units before becoming a freelance writer. He gained a doctorate from the University of Glamorgan and is now Professor of Creative Writing and Transcultural Literature at Lancaster University, where his academic research ranges from contemporary fiction and poetry to emergent African writing. He devised the Crossing Borders and Radiophonics schemes, training African writers and promoting their work via radio and podcasts. He is the author of nine previous collections of poetry (one a New and Selected Poems), two prize-winning collections of short stories, radio dramas and educational course books.